Stevio...LA LA Lovin' It? 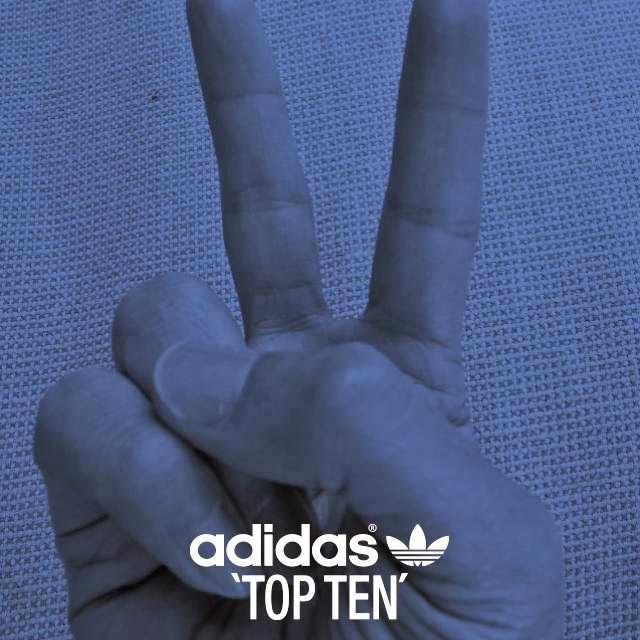 : adidas Top Ten...re-issue of a classic! Now, in 1979 I was 'yeh-high' and wasn't playing basketball of any sort. But, today, I recognize the dope, old skool design. (Actually, adidas' website pointed out the finer details of the shoe!) The pivot point might look like a circle on the rubber sole, but it was a big deal on the ball courts in the '70s! I got my "lifestyle" snakeskin Top Tens about a decade ago. I still haven't worn them. Now adidas has released a whole Top Ten collection with a vintage feel and a contemporary twist. Check out the Top Ten sweatshirt. Nice, but not as cool as my retro '80s My Adidas Run DMC sweat! 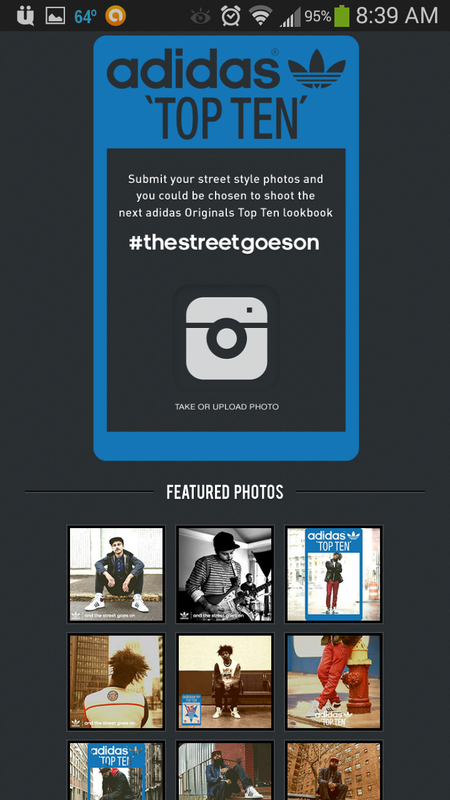 Strike a pose Along with this Top Ten re-release adidas has a competition tied into a cool mobile photo app. You can win the chance to shoot the next catalog. The app runs in your phone's web browser and lets you take a pic and then add a custom filter. Check out my effort below!